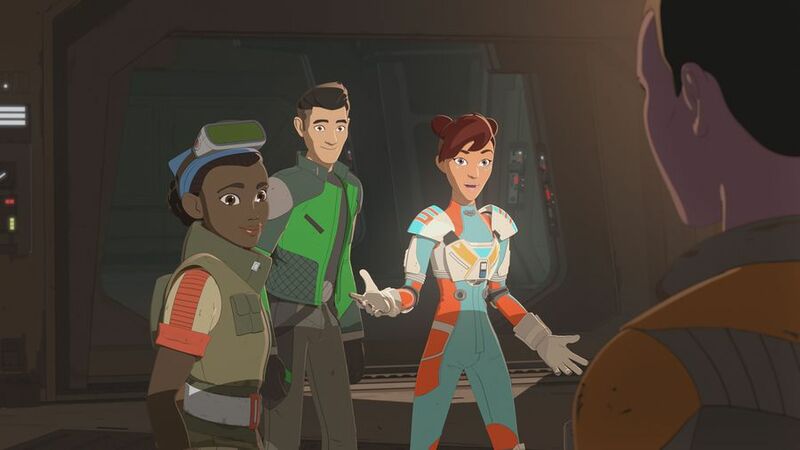 After last week’s lacklustre episode, Star Wars Resistance brought the action this week as the show gave us a taste of just about everything. We had betrayal, a kidnapping, intrigue, pirates, the First Order, the Aces and lots of team building courtesy of Torra, on two fronts. We start off with a meeting between Kragan and Commander Pyre who is expressing frustration with the lack of progress they’re having with Captain Doza. Doza is waffling on the deal the First Order offered and Commander Pyre, Phasma and the rest are getting quite impatient. To apply some pressure, Pyre comes up with a new plan, one that involves taking something near and dear to Doza, his daughter Torra. Afterwards, Kragan contacts Synara to tell her that he’s sending two pirates, Drell (David Shaughnessy) and Valik (Jennifer Hale) to the station for a mission. He doesn’t tell her the details of the mission, just that she needs to help them get past security and into the tower. Synara isn’t happy about it and is clearing growing tired of Kragan’s demands and the way he treats her. To contemplate this, she heads to Aunt Z’s where she runs into Kaz, Torra and Tam hanging out. Torra gets the idea that the four of them go to her room and play a new video game, “Drone Blaster” Synara is hesitant but humbled by the invitation so she accepts and goes along with her new friends. Ultimately, Synara uses the opportunity as a recon mission, hoping to figure out a way of getting Drell and Valik into the tower. After some fun playing around, Synara must go meet the pirates but before she does, Torra gives Synara her security codes so she can get in anytime she wants. This group hang really gives Synara a glimpse of what life could be like should she choose to walk away from the pirate’s life. Having already befriended Tam and Kaz, she now has a new friend in Torra, something that will again complicate her mission. So, when she helps get the pirates into the tower and learns what they are really attempting, or rather kidnapping, she goes to find Kaz for help but its too late. Kaz jumps in the Fireball to go after Torra and instructs Synara to call Doza and send help as fast as he can. Doza is of course mortified and immediately orders 4D-M1N to launch the Aces, who go in pursuit. Drell and Valik, who are on two smaller speeders, rendezvous with Tooms who is waiting on a slightly larger ship which they transfer Torra to and send the speeders off in another direction. Kaz sees this and continues his pursuit but the Aces fall for the decoy and go after the speeders. The Fireball has a broken transponder and can’t relay coordinates to the others so Kaz follows them alone to the main pirate ship where Kragan is waiting. 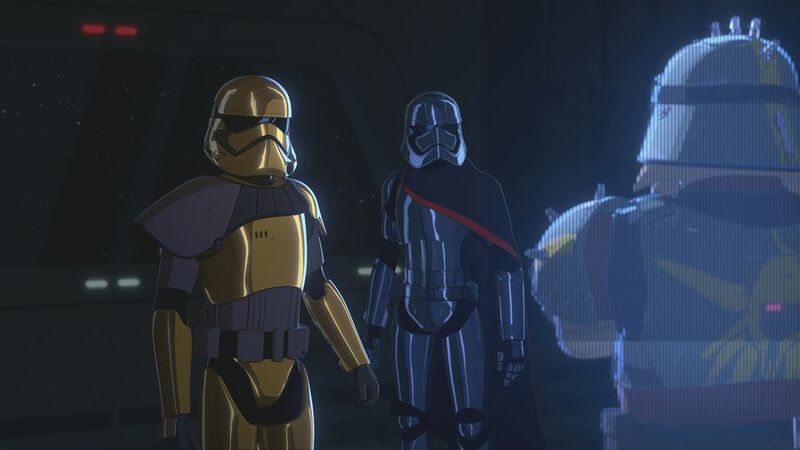 And just as things are looking bleak for Torra, who should show up but Captain Vonreg and the First Order! Remember the original idea that Kragan would send Drell and Valik to kidnap Torra, hoping to apply enough pressure so that Imanuel will have no choice but to agree to the First Order’s demands? Well, the First Order, likely the least trustworthy group in the galaxy, flips the script on Kragan and play the hero instead, scuttling Kragan’s ship, killing some of his crew, and “rescuing” Torra. They, along with Kaz and the Aces, all return to the Colossus to bring Torra back safely. 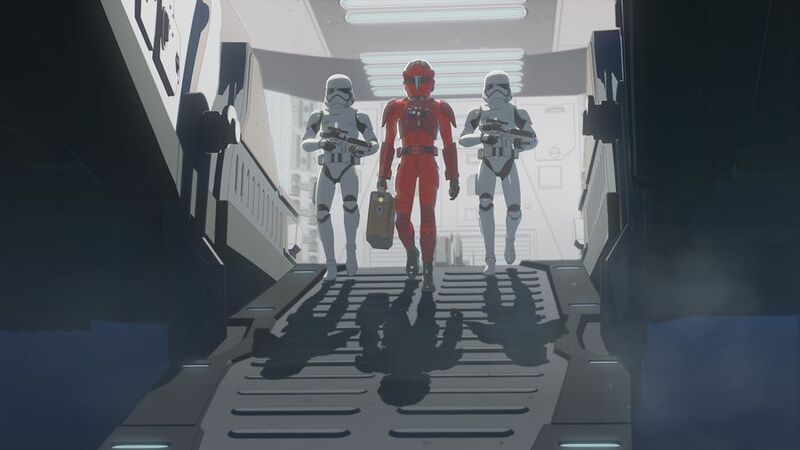 This seemingly heroic act earns Captain Doza’s appreciation, so he agrees to let the First Order leave behind some Troopers as a security detail to quell any future pirate raids, at least while he considers their offer. Kaz goes to speak with Synara and questions her about the two pirates, having seen her with them earlier. She lies to him, saying they were just salvagers, but Kaz walks away finally realizing Synara is a pirate, the only question is, what will he do about it? Like I said, this episode had something for everybody and was a very quick 23 minutes. Living a double life is clearly weighing on Synara and it’s obvious she’s getting increasingly annoyed by Kragan and his constant nagging while at the same time growing fonder of her new friends. With Kaz knowing her secret now, it shouldn’t be long until she’s forced to finally decide, the pirate’s life or something else. There’s zero chance she goes back to Kragan but whether she stays on Colossus and in turn the series, is another matter. With Kaz having a secret of his own to share, don’t be surprised if he confides in her and they keep each others’ secrets for the good of the station. They’ll need her skills going forward if they hope to defend the platform from larger more dangerous foe. Disappointingly, the Aces are once again scrambled but to little or no affect. 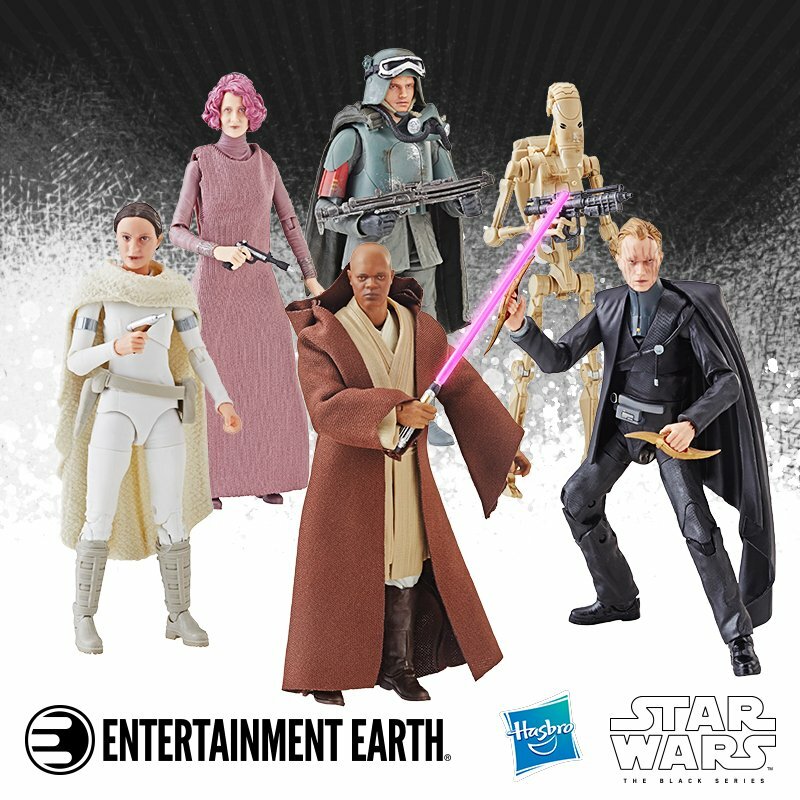 At some point I must believe they will be the focus of an entire episode, certainly if the station goes to battle with the First Order as indicated in the mid-season trailer. At least Bo Keevil (Dave Filoni) said a few words and didn’t crash his ship this time. Now that the First Order has finally planted its seeds on Colossus, things from here on out will be changing significantly for our friends. This will also likely reveal what is so valuable about Colossus that the First Order is willing to spend so much time securing it through schemes and manipulation rather than brute force. It’s clear, whatever is there, they need the station intact. “The Doza Dilemma” is this show operating at a high level. All stages, from the writing, to the voice work, to the animation and sound, are all efficient and polished. I mentioned on the podcast that this feels like an episode from a seasoned series deep into its run, it’s good stuff from this group. 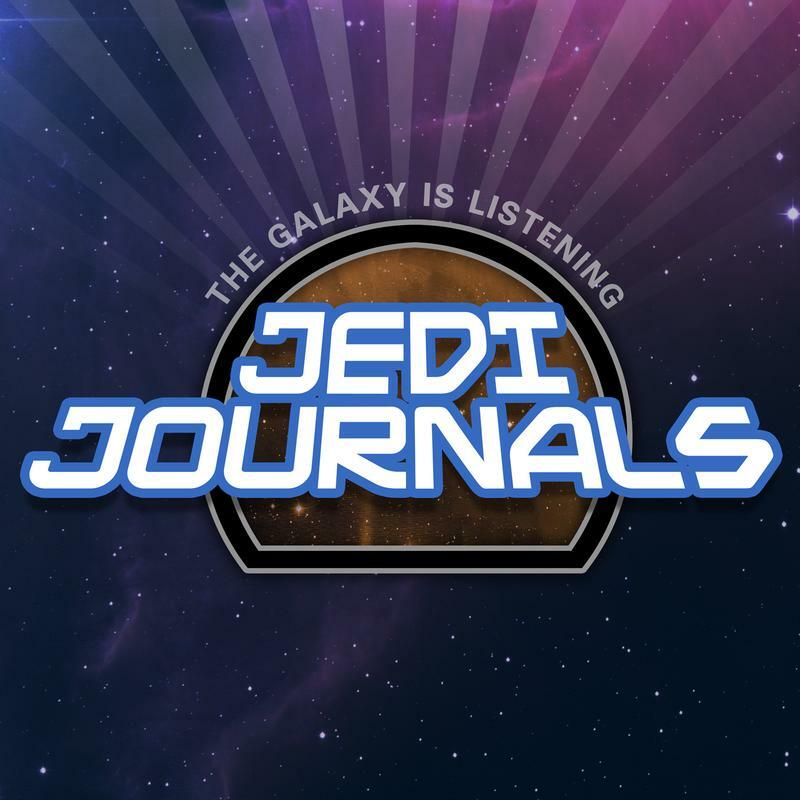 With the First Order on the platform now, expect more episodes where styles get cramped and Kaz amps up the snooping. 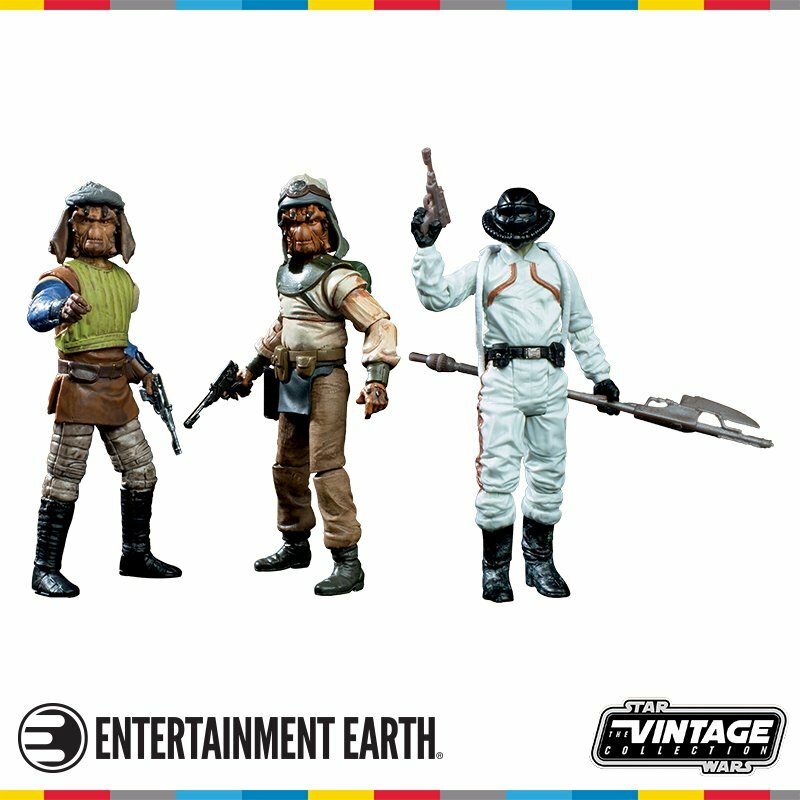 Curious to know if Kel and Eila venture out of the basement or did the Trooper stumble across them and the Chelidae? 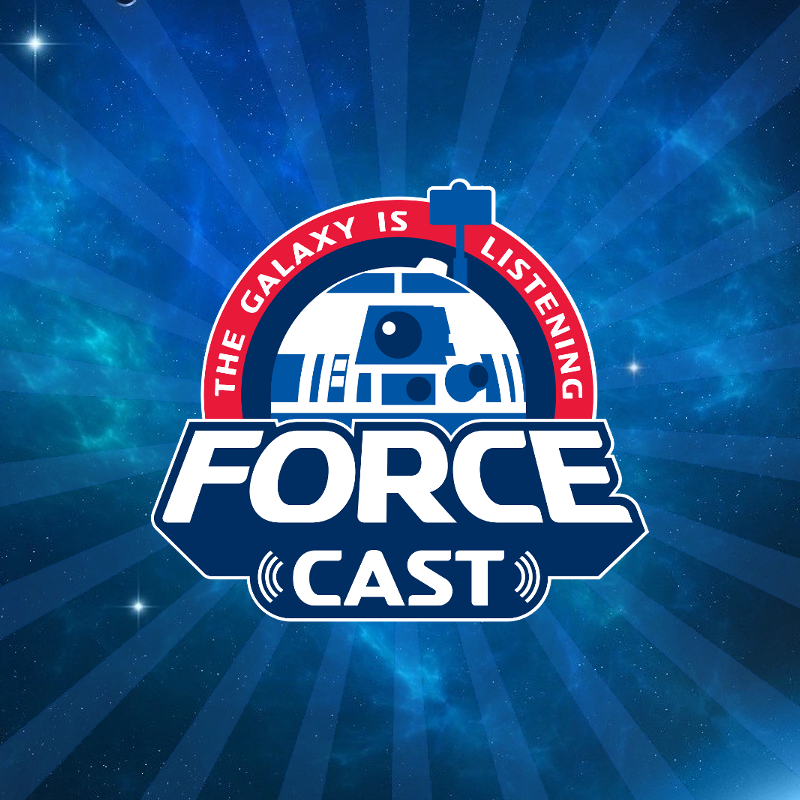 Don’t forget to listen to my recap on the Forcecast podcast each week!